Sunset Sail - a sell-out! 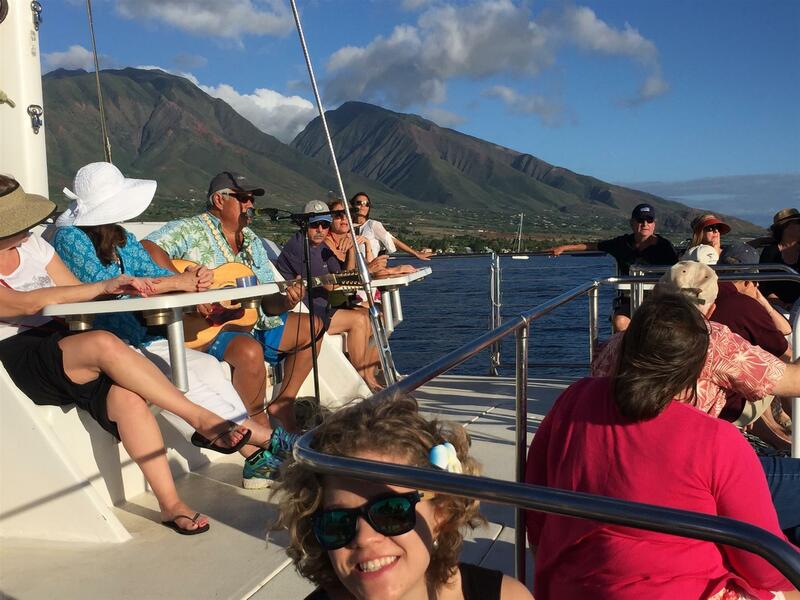 Thanks to the hard work of all of our members and the wonderful press releases in The Lahaina News and The Maui News our second annual Sunset Sail was a sell-out! We even had to turn some potential passengers away days before the event! Due to the success of this event, we achieved our goal of generating over $2500 in profit in order to fund our "Go For the Green" Scholarship! Special thanks to Uncle George Kahumoku, Jr. for providing his wonderful musical talents and the great staff aboard the Trilogy Sailing vessel! What a perfect evening! !